Shopping for just the right frame can be exacting. Patty possesses the knack for putting a photo, painting or print in just the right frame. Recently she framed a print we purchased from a small gallery in Creede, CO to hang in my office. Had I picked the frame, well, enough implied. Choosing the right way to frame our own stories goes through the same rigors of searching for the right frame for that favorite photograph. 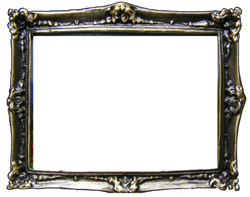 Failure to take care in choosing our frame carefully may result in a mis-told story; like a photo in need of a new home. Yesterday Brad, Rusty and me spent some time with Hazel. She is 85. Her life story experienced an unexpected detour when, at 85, she was diagnosed with breast cancer. Maybe you can imagine the thought process – “I have lived a good life. Enjoyed my family. Shared in memorable experiences. I think I am ready for what lies ahead.” She endured a radical surgery and thought of forgoing chemotherapy. He oncologist informed her of the aggressive nature of the form of cancer in her body. Hazel decided to give the chemo a try. Many would do the same. Her doctor told her she may with God’s grace and the treatment look forward to a 90th birthday – no guarantees of course. We noticed a video camera set up in front of a recliner. Her granddaughter-in-law has been after her to “tell her story.” She told Valerie she would write a script. Valerie insisted, “Just press record as you are thinking about things and tell your story, you don’t need a script.” For about an hour “unscripted” Hazel told us some of the smaller stories that make up the larger story that is her life. We laughed. We marveled. At irregular intervals Hazel would reflect, I have enjoyed a good life. In fact, she noticed the famed line in the Jimmy Stewart Christmas favorite, “It’s a wonderful life.” Some of what Hazel shared may not be construed by some as a “wonderful” life. Poverty early. The loss of her life long friend and husband as they celebrated 60 years of marriage. Him to cancer and now she faces the prospect of death at the hand of the dread disease she watched him succumb to. She sat by him for three months. They reminisced. They thought of fishing. Traveling. Life together. As she narrated her story, it was just that, “her story,” she framed it in terms of faith, family and friends. Reading Michel Foucault for a course, “Readings in Postmodern Philosophy and Theology,” I could not help but wonder if we could tweak his discussion of discourse, subject and power. Could we tell Hazel’s story as a story that represented “confession?” Rather than be subsumed in the narrative of cancer research and treatment, Hazel’s reflections offer something of an art giving power to life. She confessed to a “good life.” Living our her “good life” may be one of those performative stories someone hears, reads, or engages and is thereby changed. Rather than challenged by the cynicism and skepticism her sadder stories might bring, would some be inspired to look for this wonderful life to which she referred? The potential comes in how she framed and continues to frame her story.